More than 10,000 organizations in 150 countries, were impacted by the WannaCry ransomeware attack. 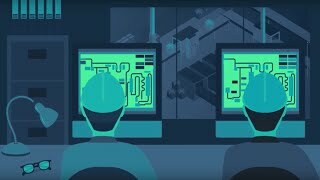 While WannaCry did not directly target industrial control systems, cyber security researchers have demonstrated that Ransomware can be designed to compromise industrial controllers used to operate industrial facilities such as manufacturing plants, water and power utilities and critical infrastructures. Last week Honda halted production at a vehicle plant for a day after finding the WannaCry ransomware, that struck globally earlier this year, in its network. While Honda did not say how WannaCry got into their networks 37 days after the kill switch was activated, it's clear that the computers inside the Honda network did not install the critical patch released by Microsoft back in March. More than 10,000 organizations in 150 countries, were impacted by the WannaCry ransomeware attack, including manufacturing and industrial organizations like Nissan, Renault and Dacia, Spanish Telefónica and Deutsche Bahn. It's likely that a fair number of industrial organizations have been impacted, but haven't reported the incidents since they are not required to do so by regulatory requirements. To read more about what the industry sector can learn from this attack when it comes to protecting their operational systems from cyber threats - read the deep dive article by our CEO, Barak Perelman.